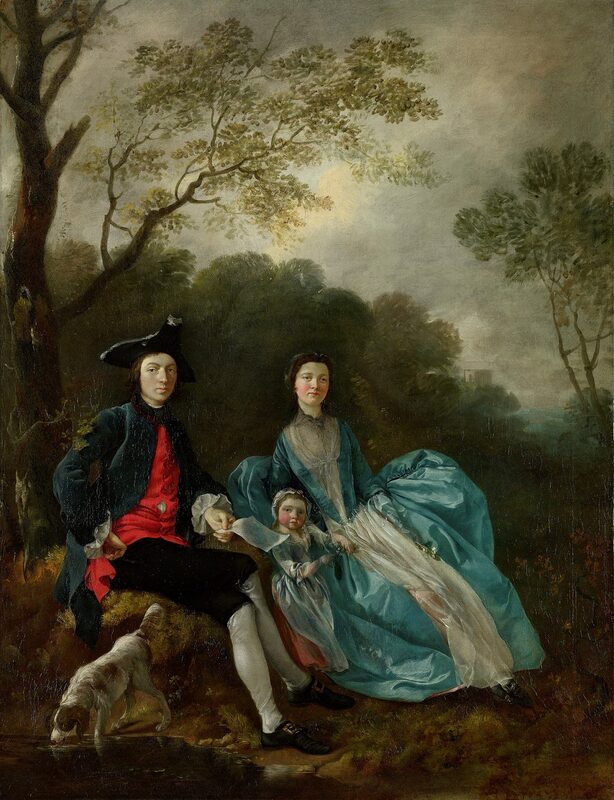 The family portfolio of the great British artist Thomas Gainsborough (1727–1788) is the most comprehensive collection of personal family portraits by any artist—of his time or of any time prior. Collectively, these portraits are a unique peek into the life of ordinary 18th-century people, in this case a middle-class family, at a time when most portraits could only be afforded by the wealthy. Fifty of Gainsborough’s self-portraits and family portraits, from public and private collections, will come together for the first time in “Gainsborough’s Family Album,” an exhibition organized by the National Portrait Gallery in London, in association with the Princeton University Art Museum. The exhibition opens on Feb. 23 at the Princeton University Art Museum and runs until June 9, 2019. The exhibition is curated by professor David Solkin, professor emeritus of the Courtauld Institute of Art in London, with the support of Lucy Peltz, the senior curator of the 18th-century collections and head of collections displays (Tudor to Regency) at the National Portrait Gallery in London. Gainsborough was known for painting portraits, landscapes, and “fancy pictures.” Fancy pictures were scenes of everyday life interspersed with “elements of imagination, inventions, or storytelling.” It was Gainsborough’s contemporary and rival, the renowned British portraitist Sir Joshua Reynolds, who coined the term “fancy pictures” to describe Gainsborough’s paintings from 1770 until his death in 1788. Whereas Reynolds referenced antiquity and the Italian Renaissance in his portraits, Gainsborough tended to depict contemporary life and landscapes in his. 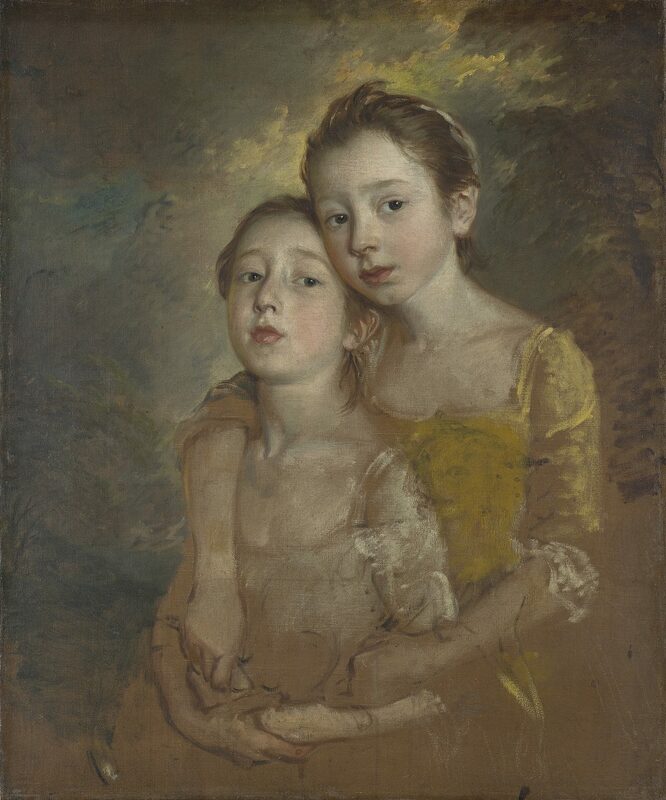 Perhaps this difference is in recognition of their upbringings: Reynolds came from an educated family, and Gainsborough was the son of a wool manufacturer. Yet they were both influenced by the work of Rubens and Van Dyck. 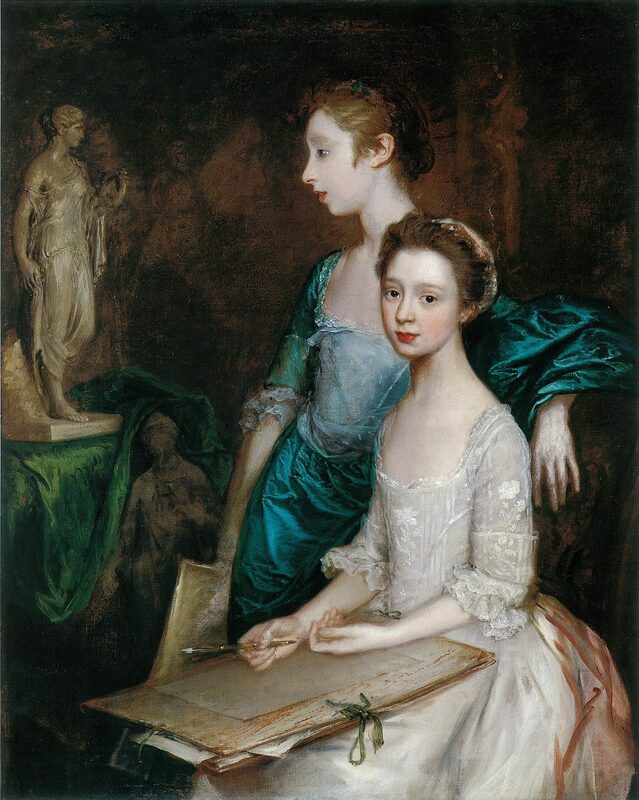 Gainsborough was born in Sudbury in the district of Suffolk, a rural part of England. In 1740 at the age of 13, he was sent to London to train with the French engraver and illustrator Hubert-François Gravelot, a pupil of the prolific French painter François Boucher (1703–1770). Later, in 1752, after revisiting the countryside, Gainsborough moved to Ipswich, where he began to paint portraits for town merchants and squires. In 1759, he moved to Bath, where he took commissions from members of high society and painted full-length portraits. In 1768, he was a founding member of the Royal Academy of Arts in London, and he eventually moved to London in 1774. Although Gainsborough made his living through portraiture, he greatly preferred to paint landscapes. He wrote to his friend William Jackson that he was tired of painting portraits: “[I wish I could] take my Viol da Gamba and walk off to some sweet Village, where I can paint Landskips and enjoy the … End of life in quietness and ease.” The Viola da Gamba is a late 15th-century musical instrument similar to a cello. Yet when it came to painting his family’s portraits, it seemed he did not tire. 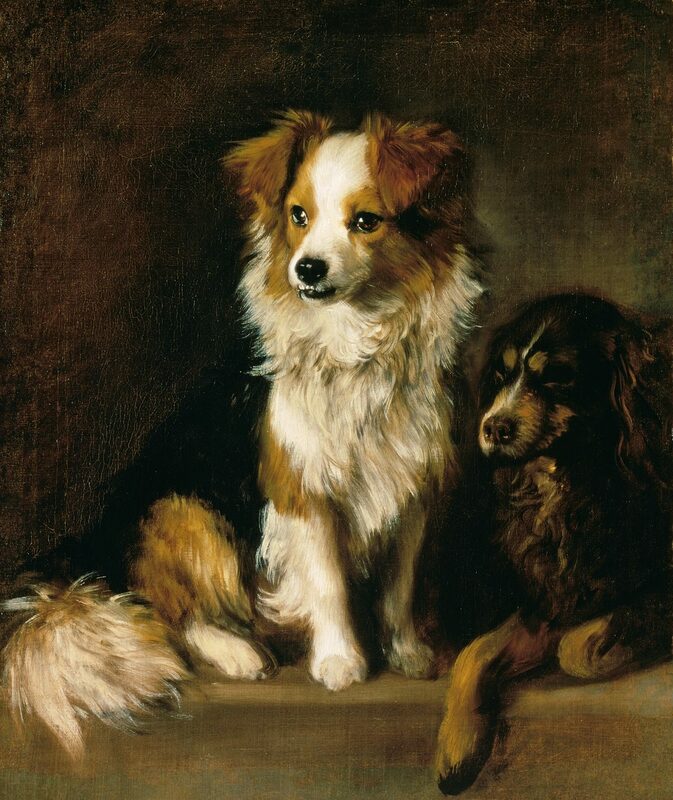 Gainsborough painted his close family members: his wife and two daughters; his extended family: his nephew and brother-in-law; his servants; and even his pets. The portraits chart not only Gainsborough’s family through time, but also his maturation as an artist. These intimate portraits were perhaps a true expression of Gainsborough the artist, whereby he could experiment with style, composition, and technique without the confines of a commission or patron. 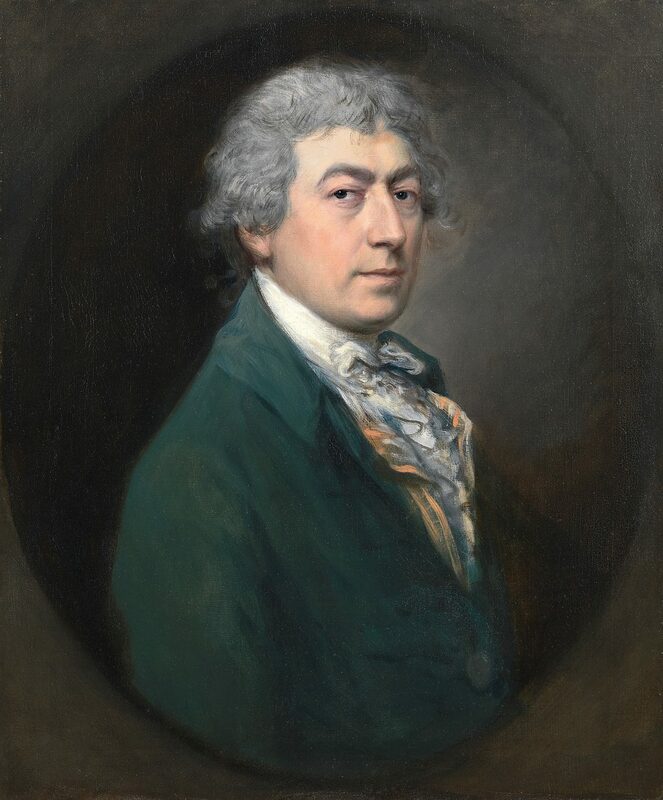 As a curator at the National Portrait Gallery in London, Peltz, according to Country Life magazine, spent more than five years tracing the whereabouts of some of Gainsborough’s family portraits, some of which had been in private hands for many years. After exhausting all the usual avenues, in a spark of inspiration, she turned to traditional media, and in July 2015, she posted a letter appealing for information on the missing Gainsborough family portraits in the quintessential English publication Country Life magazine. The first appeal was a success, which led to another appeal a few months later. One of the paintings found through the appeal was an unfinished portrait of Gainsborough’s daughter Margaret playing a cittern, which has not been publicly shown for 130 years. Before “Gainsborough’s Family Album” first opened in London on Nov. 22, 2018, at the National Portrait Gallery, as with every piece of artwork that is exhibited at the gallery, the in-house conservator’s studio had to assess each painting as to its suitability for public display. 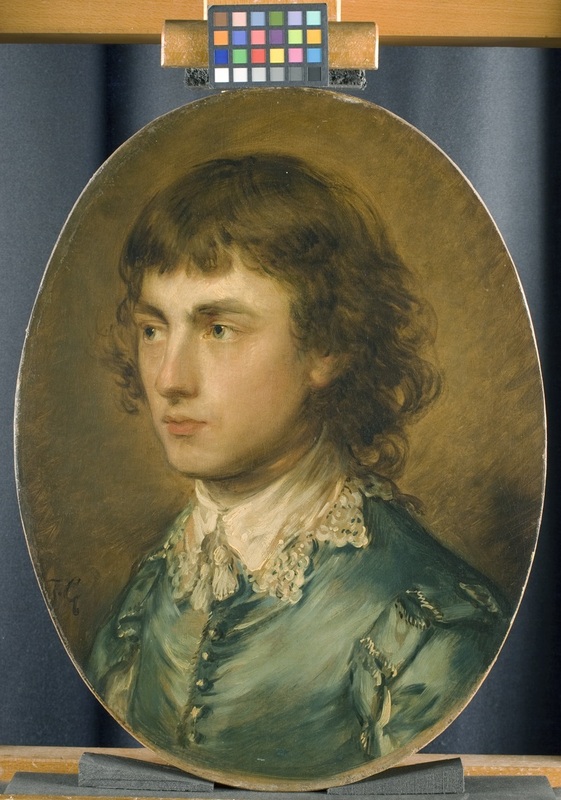 One of the works inspected was the oval portrait of Gainsborough’s nephew and apprentice, Gainsborough Dupont (1754–1797), which has not been on public display for over 100 years. The portrait was only identified as being Dupont in 2003, by Susan Sloman, author of “Gainsborough in Bath” and a contributor to the exhibition book. On close inspection, the conservators at the National Portrait Gallery in London ascertained that the portrait of Dupont had probably been restored in the 19th century. Although the painting was in a stable state to exhibit, the varnish obscured some of the nuances of Gainsborough’s brushwork. The careful removal of the varnish revealed how thin layers of paint were applied in Gainsborough’s highly praised “sprezzatura,” the specific art of making difficult brushstrokes appear effortless. Gainsborough’s painting of Dupont clearly shows spirited, broad, and bold brushstrokes, expertly applied. 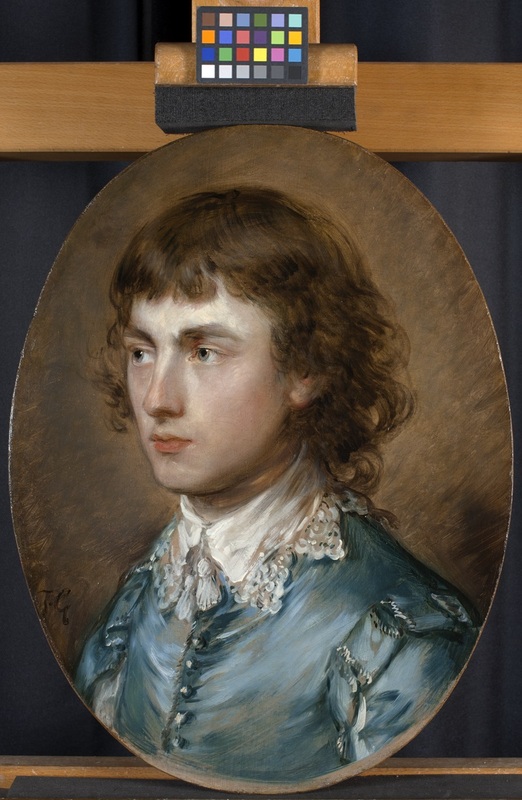 The conservation effort also revealed elements previously hidden by the aging varnish, such as touches of blue in Dupont’s hair and around his eyes, which reflect the opulent blue jacket, and also the pink-beige background used as a highlight throughout the painting. 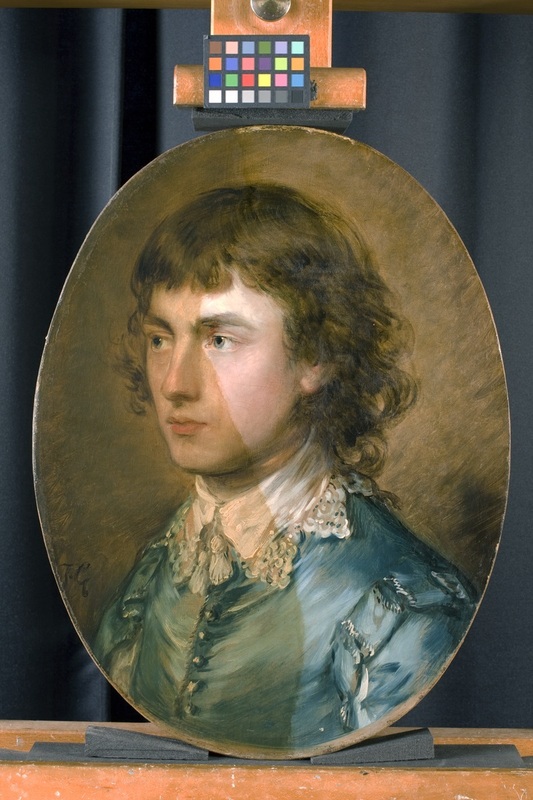 The conservators have brought back a luminosity that was missing in the painting, which is perhaps what Gainsborough’s friend Philip Thicknesse saw at the time it was painted. 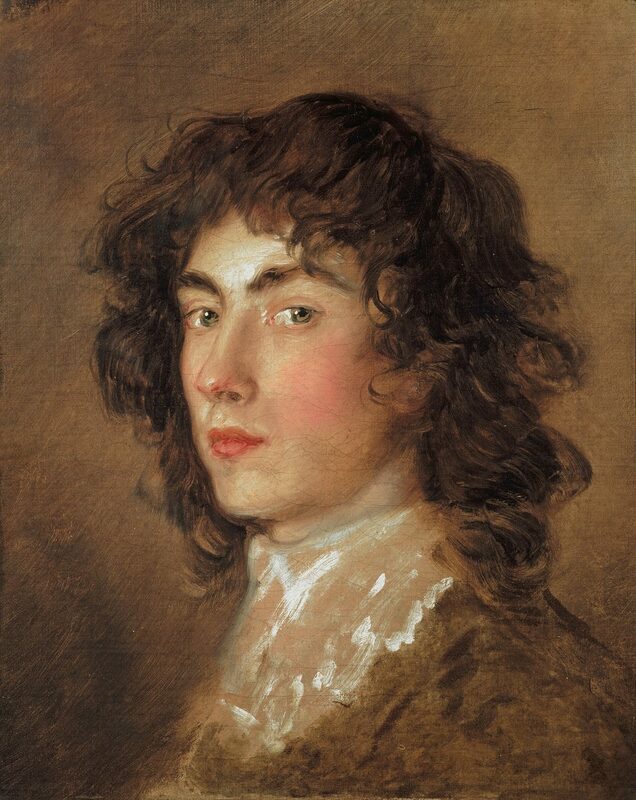 He had said it was “more like the work of God than man” and “the finest head he had ever painted,” for Gainsborough, inspired by the paintings of Van Dyck, had transformed Dupont from a Suffolk carpenter’s son to an aristocrat. The exhibition is full of delightful surprises, in addition to the “new” Dupont. Many of the paintings have long been kept behind closed doors, like a family album. 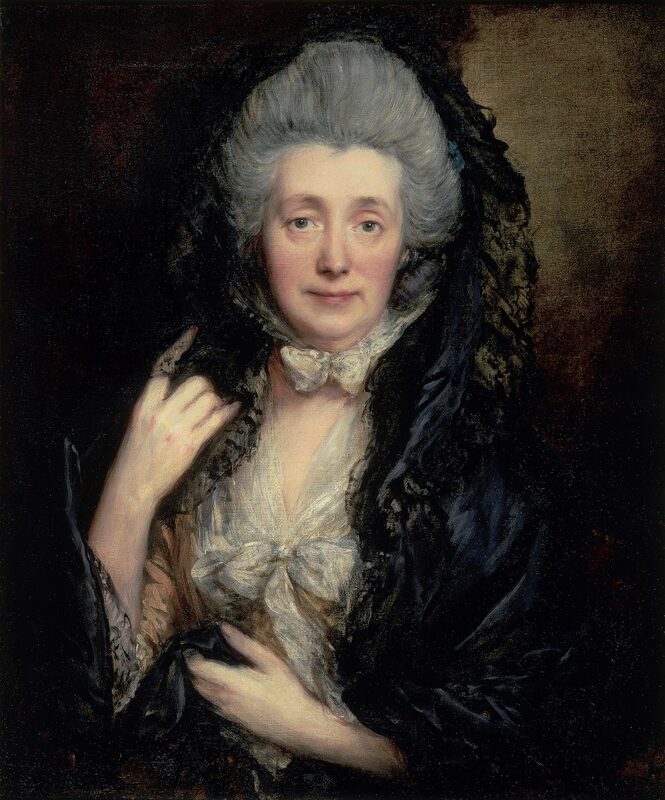 Among the many highlights is a gorgeous portrait of Gainsborough’s wife, Margaret (circa 1777–78), in later life. 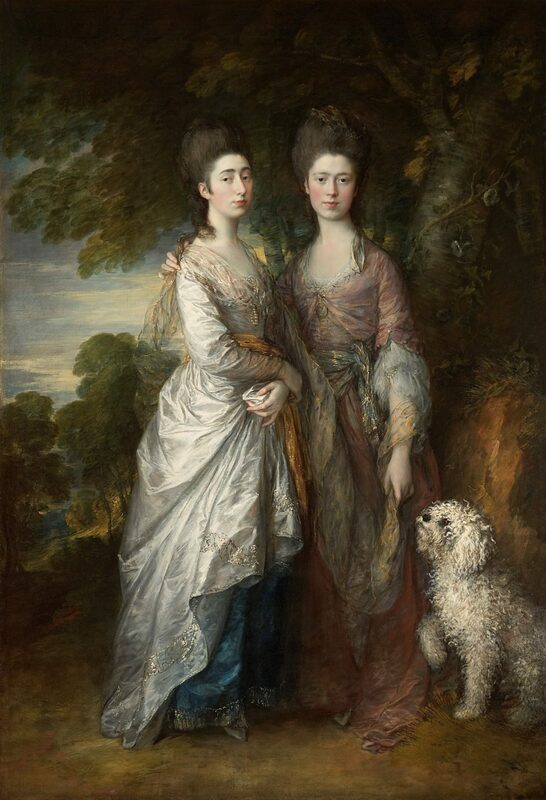 Another is a rarely seen, double full-length portrait of Gainsborough’s daughters (circa 1774), Mary and Margaret, wherein the young ladies are dressed in sumptuous finery of the kind Gainsborough’s customers might have been accustomed to. 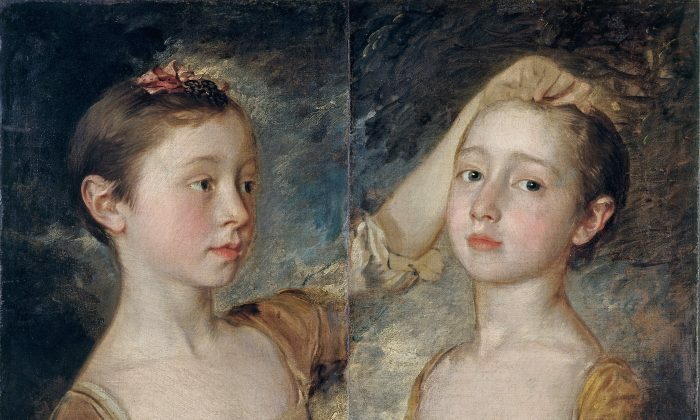 Of all the paintings, those of Gainsborough’s daughters may feel the most familiar. In this exhibition, there are 10 portraits of the girls, who, much as in a collection of photographs, seem to grow from innocence into adulthood. 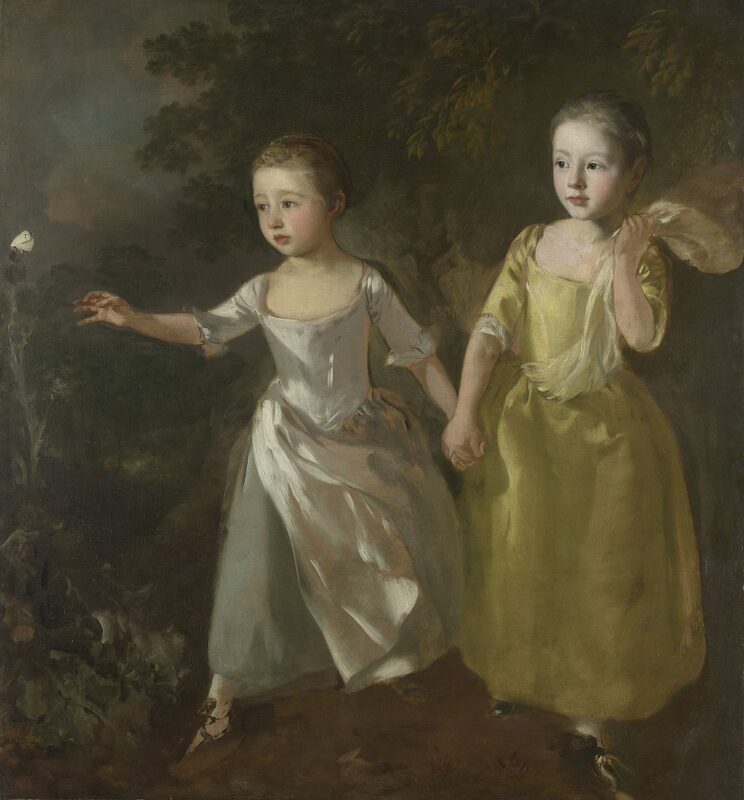 Maybe the most enduring image of the girls is the famous portrait “The Artist’s Daughters Chasing a Butterfly” (circa 1756). Although it won’t be in Princeton’s exhibition, the painting was exhibited on the first stop of “Gainsborough’s Family Album” at the National Portrait Gallery in London. The young girls can be seen holding hands side by side, as one of them playfully reaches out to a catch a butterfly.